Did you know this blog, Munchie Musings, is over ten years old? And some might have noticed the less frequency I post on it and the not all that inspiring content over the last year or so. Blame it a bit on burn out. I'm one of those people who needs to get a real bee in her bonnet. For seven years I was really into Pampered Chef and earning prizes and trips. Then burn out. Then this blog became my focus and I am super grateful to it for the doors it has opened for me. 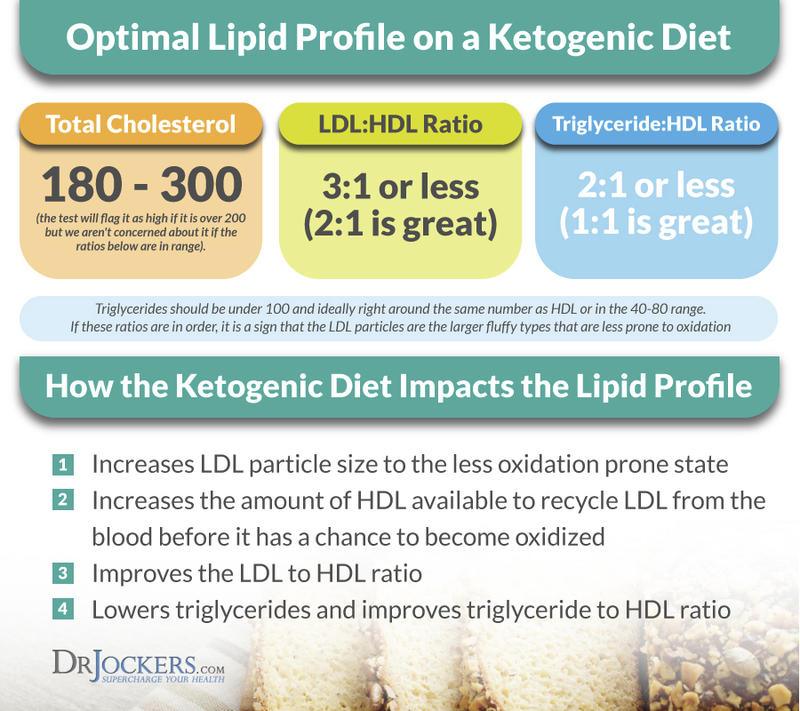 You might have noticed that lately I've been a bit focused on the science of the keto diet and its health benefits. I decided to move these over to a keto focused blog where it will be more focused. I'll still be here on MM occasionally, but I'll probably be writing more often on the new one. If you have an interest in biohacking your body and maybe keto, then please check it out. The new blog is called Keto so Easy because I think it's easier than some people fear. I also named it that because I practice lazy keto, as in not-so-strict keto. People with serious health issues like diabetes, obesity, fibramyalgia, etc. may need to be super strict keto. I don't. That doesn't mean they won't find helpful information on the new blog, but that I am going to be more forgiving than other keto advocates. Sooooo, that's the latest. I actually already have piqued the interest of several friends who have tracked my progress so far. I look forward to seeing if they find a benefit and love of keto too. Heal your body with food, not drugs! Do you worry about your cholesterol? After all, the medical community has drilled in the importance of low cholesterol for the last couple of decades in particular. Is it something really worth worrying about or is it just a manipulation by the pharmaceutical company to push more drugs? I pretty much think the latter, but I've been brainwashed enough to still worry about it. I'm now over four months into my keto and still keeping data on things like weight, blood work, general health. 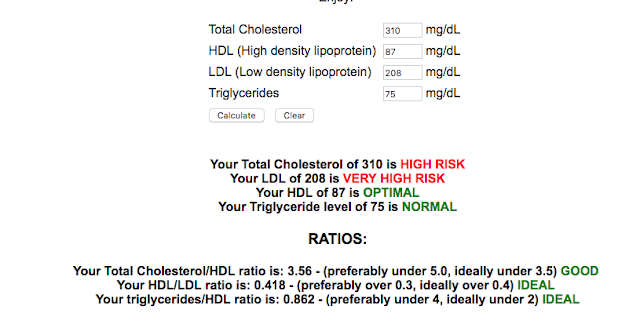 As mentioned in prior posts, my cholesterol has jumped with this diet, but when I put the standard cholesterol lipid panel results (40 year old testing methods) into the new, current cholesterol calculators, the results were varied quite a bit. Even though the new calculator set my mind at ease a bit, it still wasn't the best answer to the question of cholesterol health. In order to get that, I had to get the detailed lipid test that Kaiser doesn't offer! Called an NMR Lipid Panel, I had to go to an independent lab and shell out $99 of my own money. This post is to share those results. First, I'll put the standard test numbers into the ratio calculator and I get this. Keep in mind the top section is OLD testing methods (40 years old saying High Risk) and the bottom half is more up-to-date testing - the ratios. These are the types of results that have kept me feeling good while pursuing this keto for the last few months. But, as I mentioned, the best test to get is the NMR test. Why? 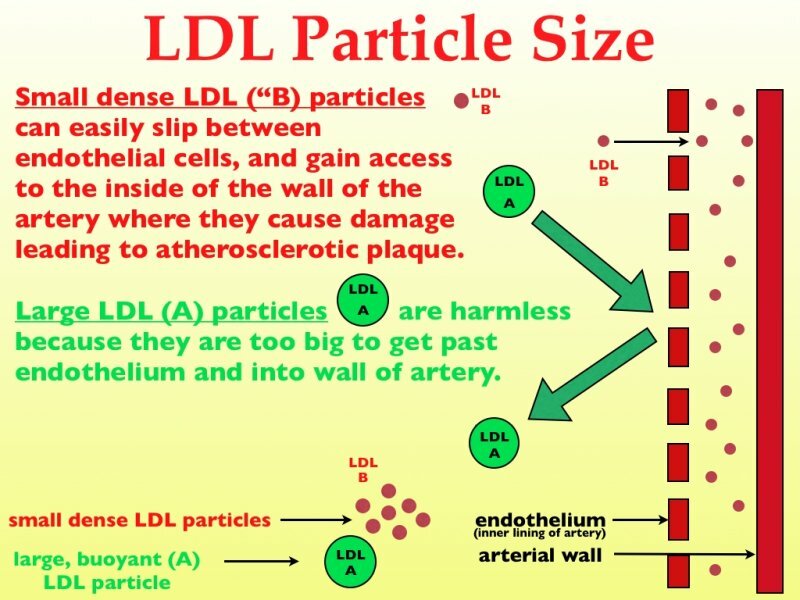 Because it turns out that the real indicator of heart disease from cholesterol is the type of particles that form the LDL. There are good, large particles and bad, small particles. The NMR test breaks those two apart for the true read of your cholesterol health. So...I decided to bite the bullet and pay for the NMR. Today I got the results and they aren't quite what I expected. The problem is they are also confusing and the testing company does not offer assistance in explaining them. The important numbers to look at have to do with LDL-P, the number of particles. The scary number is the 2065. That's REALLY high and if you look the right, they say so! The other number is lower down where it says Small LDL-P is 269. That appears to be good. So my issue is interpreting what that all means in the scheme of things and I can't ask my Kaiser doctor because he's clueless about this new cholesterol science! I can only rely on what I'm getting from internet research and from the keto forums and this is what I'm taking away. 1) I'm at month four and they say you need to give it at least six months to adjust. 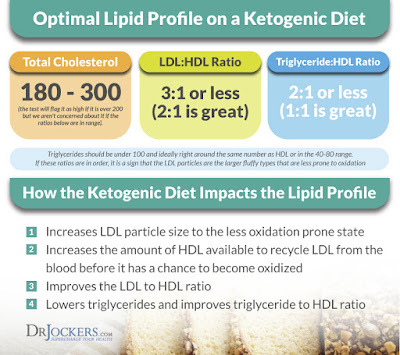 2) Today's podcast on Keto Talk had Dr. Cole talking about cholesterol and that it can take some people up to a YEAR to settle out. 3) Part of the reason for this is that when you lose weight, your fat cells squeeze out some of the stored cholesterol which needs to be flushed out via your liver. It takes those months for your body to do that. I can't imagine that to be the case for me since I really didn't have much weight to lose. 4) Keto guru Jimmie Moore posted similar NMR numbers on a blog post. Yes, the 2065 is high, but according to his post, you subtract out the Small LDL-P number and the leftover is the good, fluffy LDL that you want! So my 2065-269 = 1796 of good, fluffy LDL! Also, the LDL size should be over 20nm to be the fluffy kind and mine are at 21.7! 24 hours later I am feeling much better and relieved to have found his results to compare to. I will continue ketoing on and test again at the end of summer. Your LDL-p is higher than recommended. This tends to be fairly common in the ketogenic community and it’s unknown if this is actually dangerous at all in this context. Not enough research has been done. Some people do see improvement in this number when they give up artificial sweeteners, so that’s one thing you can try if you’re concerned. 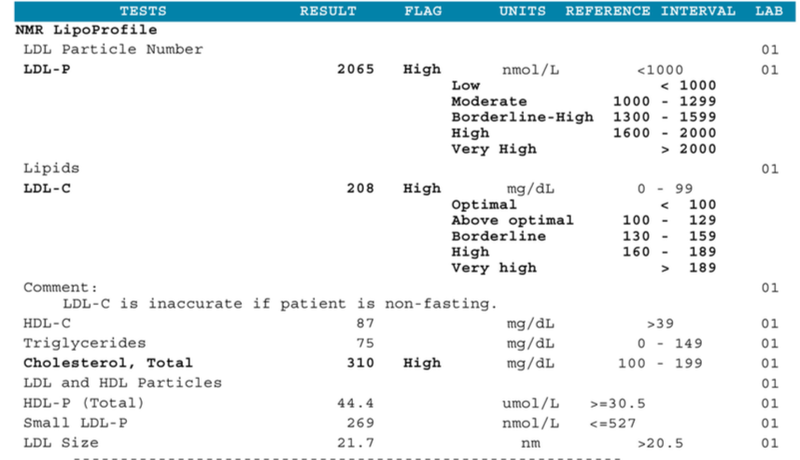 Your Small LDL-P is close to 200 which is excellent. If these were my numbers I’d be very happy.